Thanks to the rise of new cost-effective “cool” materials and “cool” techniques (cool = reflects more sunlight), the building industry finally has some scientifically sound ways proven to moderate energy use over the course of a new or even an existing building’s lifetime. Energy savings mean cost savings. According to the EPA, the costs of choosing a cool roof coating or membrane can be somewhat comparable to the upfront cost to a non-cool roof, but cool materials provide better payback through substantial net energy cost savings and longer life expectancy. With just a little planning and organization, builders and building professionals can tap into these smart new resources. Organizations like the Cool Roof Rating Council now exist to help provide ratings that let you know which materials provide truly top performance. Also, the Cool Roof Calculator, developed by the U.S. Department of Energy's Oak Ridge National Laboratory (V1.2) provides a helpful tool to estimate how much energy you might save via a cool roof installation. 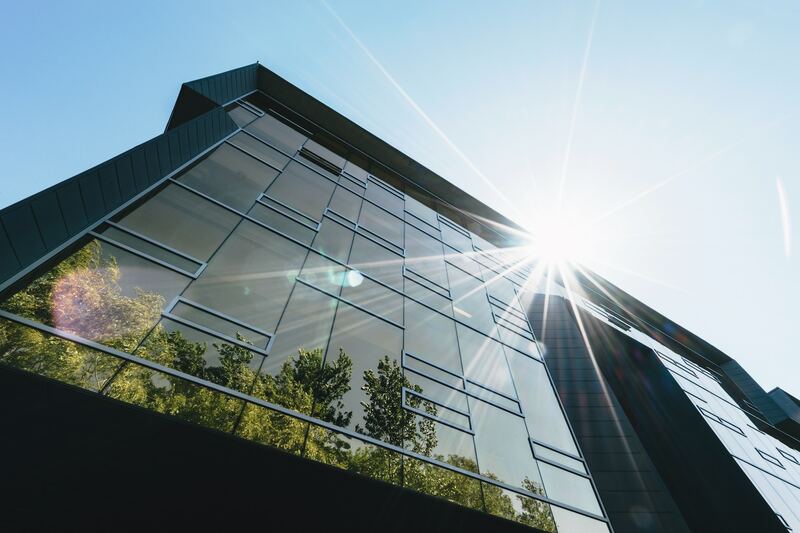 Increasingly tax credits are available through government organizations such as the IRS and the DOE for the installation of efficient and energy-saving roof materials, both residential and commercial. Companies like PHP are helping by providing rooftop support and organizational systems that work with cool roofs. Though we have known about the existence of the urban heat island effect since the early 1800s, we have finally developed materials, techniques and tools that save money. According to models by climate change research as recently as Jan 2017, the simple choice to implement materials found in cool pavements and cool roofs is perhaps the cheapest and quickest measure we can take to reduce urban heat island effect in our built environment. ARE COOL ROOFS IN NORTHERN CLIMATES WORTH THE INVESTMENT? Copyright PHP Systems/Design. All rights reserved.